Our qualified PGA teaching Professionals are available to assist golfers of all levels from beginners to professionals. The latest coaching techniques and equipment in our state of the art teaching facility, are offered to ensure that every effort is made to assist you to achieve your golfing goals. Please do not hesitate to contact one of our professionals to discuss what can be done to get better results for your game or for assistance in tailoring a special program designed specifically to suit your needs. 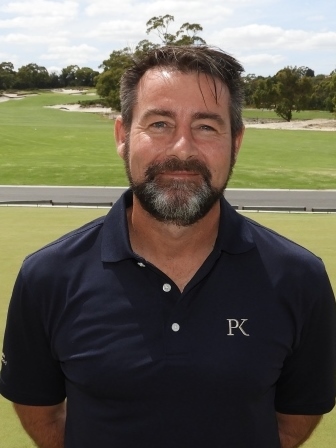 During his 3 year Traineeship in the early 90’s at Kingswood Golf club, David had several State Championship wins as well as achieving both Victorian and Australian Trainee of the Year. After a scholarship in the Victorian Institute of Sport, David then played the Australasian Tour for 5 years as the Kingswood Touring Professional. During his time on tour he enjoyed many professional wins; however 1997 was his most successful year winning the South Australian P.G.A and finishing 3rd on the Australian Foundation Tour O.O.M. 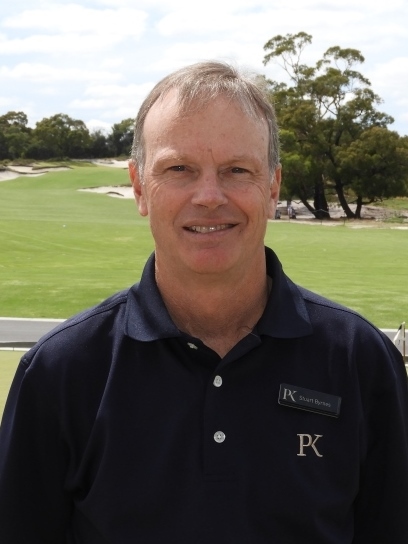 In 1999 David began working and coaching again back at Kingswood, as well as coaching junior golfers for Golf Vic. David was appointed Head Professional of Kingswood Golf Club 2004, and he enjoys Kingswood’s great playing culture and friendliness. David was also appointed the Victorian Junior State Coach in 2006 and continues to work with the associated junior squads and teams. In 2008 the Peninsula Golf Club was host to the Australian Junior Interstate series where David proudly coached Victoria to victory, enjoying another two interstate series wins during his 15 year appointment as state coach. After many years of coaching, from the beginner to Tour Professional, David still relishes the challenge of working with his pupils to achieve their golfing goals. Starting golf at the age of 14, Stuart went on to play Junior pennant for Moorabbin Municipal Golf Club at the age of 15. He joined Keysborough Golf Club in 1980 and was a Junior member there for two years. In 1983 he became a Trainee Professional at Royal Melbourne Golf Club and completed his traineeship in 1986. During the next 5 years, Stuart worked part-time at both Keysborough and Elsternwick Golf Clubs. In 1991 Stuart was appointed as a golf instructor at the Peninsula Country Golf Club. Between 1985 and 1994 Stuart played in many tournaments including Pro-Am events throughout Victoria as well as Victorian Opens, Victorian PGAs and other National events. Stuart also played in the 1989 Australian Open at Kingston Heath Golf Club. Stuart’s greatest tournament victory was the 2003 Murray Masters, played at Yarrawonga. 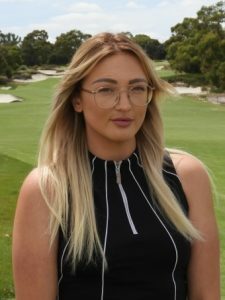 Karena joined the Peninsula Kingswood team in 2016 as our trainee professional. Karena played junior golf at Kingswood and became passionate about the game when she moved to England in 2013. After returning home from a 3 year stint in Hertfordshire County, Karena joined the PGA Performance Program in 2016, where she graduated with a Diploma of Sports Development. Her main focus being golf fitness and psychology. Having trouble on the course, why not have an on course playing lesson and see the course from a professional’s point of view. Our PGA Professionals have helped many of their pupils through on course tuition, helping them understand where to position the ball around the course, playing to their strengths and also learning new shots on the course and around the greens. Group Lessons can also be arranged, contact the Pro Shop for more information. Range balls are available between the hours of 7:00am – 5:00pm and 7:00am – 5:30pm in daylight saving times. Range Balls are for use on the driving range only. Members and Visitors are required to use their own balls on the pitching and chipping green area. Only golf balls supplied by the Pro Shop are permitted on the driving range. Players must not retrieve balls from the range. We are pleased to be able to offer this service to our Members and visitors. We take pride in our workmanship, with all repairs performed by PGA professionals. All components are of the highest quality and all repairs are made using the latest technology.